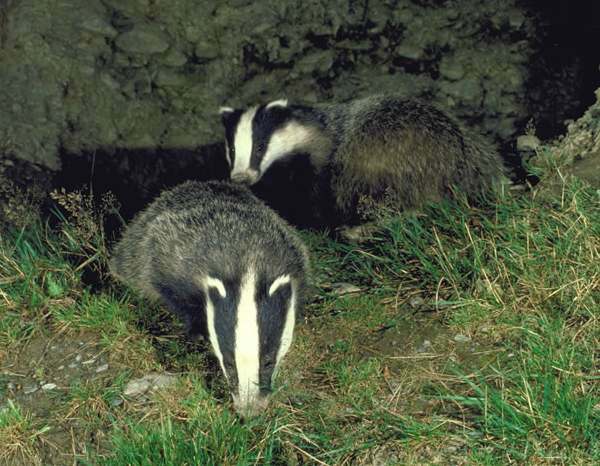 Most of the daytime, Badgers remain underground, either in natural crevices or, most commonly, in tunnels, called setts, which they excavate. Several families of badgers may share such a home. 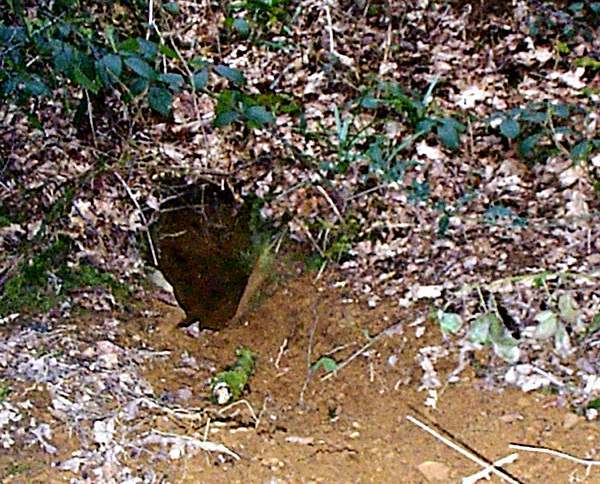 A Badger sett comprises a complex system of tunnels, often twenty metres long and as deep as three metres below the surface. Where their tunnels are only shallow, they sometimes push rocks up above the surface, and harvesting machinery is sometimes damaged as a result of the rotating blades or drums hitting rocks hidden among the corn. Although Badgers eat worms, frogs, birds' eggs, and small mammals and even carrion, they also forage for roots and berries. Because their diet it so varied, Badgers do not need to travel great distances when out on their nocturnal feeding forays, and it is rare for them to go more than a few kilometres from their home. From late October to late December, Badgers sleep for an increasing amount of the time, but even then in mild weather they wake up and go out in search of food. They become very active from February onwards, and a litter of one to five badger cubs is born in spring. The young are blind at birth and remain in the sett for the first two months of their lives.. By late summer the cubs are able to fend for themselves, but it is common for them to remain with the mother through their first winter. For more superb Badger pictures and a wealth of information about Badger habitats, behaviour and conservation, visit the web site of Neath Port Talbot Badger Group.